(TORONTO – May 15, 2012) The Art Gallery of Ontario (AGO) is delighted to announce Hiraki Sawa as its next artist-in-residence. The London, U.K.–based, internationally recognized contemporary artist will be based in the AGO’s Weston Family Learning Centre through the end of June 2012. The Gallery’s Artist-in-Residence Program, the first of its kind at a major Canadian art museum, hosts as many as six artists each year for eight-week terms. Known for creating videos that explore and re-imagine his surroundings, Sawa will be conducting research while at the Gallery, exploring its collection and archives and developing new work that draws on and responds to AGO’s material resources and even the building itself. Sawa is visiting Toronto for the first time and will be meeting with members of Toronto’s cultural community and with the AGO’s curatorial staff. The collaboration was kicked off on May 11 when Sawa participated in a public talk entitled Artists in Conversation: Max Dean and Hiraki Sawa as part of the 2012 Contact Photography Festival. The AGO launched its artist-in-residence program in fall 2011, with Toronto’s Paul Butler taking over a dedicated studio in the newly built Weston Family Learning Centre. During his time at the AGO, Butler designed a public program called Post-Post Graduate Studies (PPGS) that ran as an alternative art school inspired by the writings of Ernesto Pujol and art school models like The Mountain School of Arts. Toronto artist Margaux Williamson was the AGO’s artist-in-residence in February/March 2012. During her residency, Williamson conducted research for a series of paintings, unveiled a new performance work entitled How to Act in Real Life and orchestrated a number of engaging public events in the Gallery, including a concert featuring local band Tomboyfriend and a screening of her film Teenage Hamlet. The AGO’s Artist-in-Residence Program is generously supported by its lead sponsor, Partners in Art. For more information about the program, please visit www.ago.net/artist-in-residence. 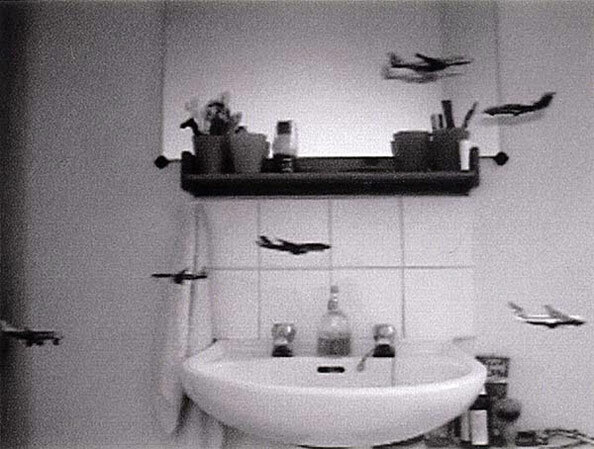 Hiraki Sawa was born in Ishikawa, Japan, in 1977 and currently lives in London, England. He received his master’s degree in sculpture in 2003 from the Slade School of Fine Art, University College in London. In April 2012, Sawa opened his solo exhibition Lineament at the Shiseido Gallery in Tokyo, Japan, and also exhibited his work Going Places, Sitting Down in the exhibition Magic/Art at the Aichi Prefecture Museum of Art, Japan. Currently his work is included in the exhibition Double Vision: Contemporary Art from Japan in the Moscow Museum of Modern Art. Recent solo exhibitions also include shows at James Cohan Gallery, New York, and Ota Fine Arts Gallery, Tokyo. In the past his work has also been exhibited at LIFT Contemporary, Cherokee, North Carolina; Chisenhale Gallery, London, England; Placentia Arte, Piacenza, Italy; Borusan Art Gallery, Istanbul, Turkey; and Evo Gallery, New Mexico. In 2004 his video work Dwelling could be seen on a large monitor in Times Square, New York, presented by Creative Time.